News & Articles - Strategic Beverage Solutions Inc.
March 2018 Is Your Hotel Bar Underperforming? February 2018 B$RN – How is Your Hotel Bar Doing? July 2016 Living Room Bar Concepts – A Winning Formula In Hotel/Resorts. 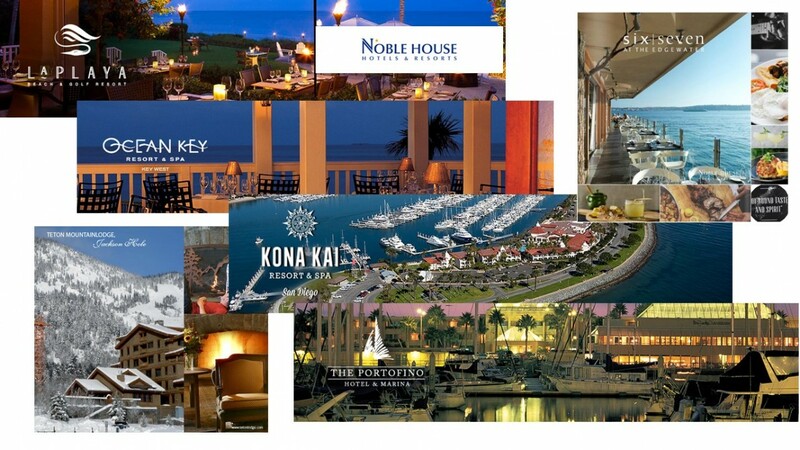 June 2016 Is Your Bar/Restaurant Missing The NonHotel Guest Opportunity? 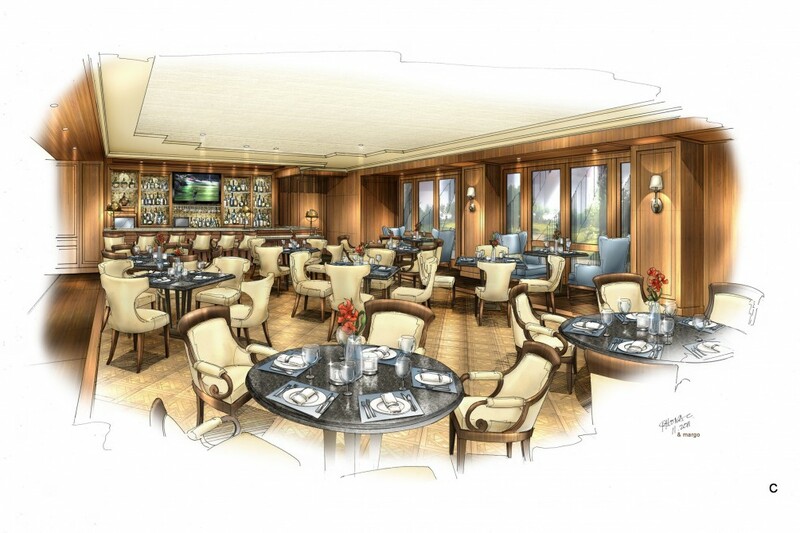 According to a recent Asset Manager survey 87% of F&B renovation projects underperformed against the planned revenue and profit growth expectations. Yet owners continue to make that capital investment because the opportunity is obvious. Unless your B$RN ratio is above $15, something is keeping hotel guests from patronizing your bar. (B$RN – How Is Your Hotel Bar Doing) 25 more customers per night in your bar is a $1M annual revenue impact – and those additional customers are often already in the hotel. 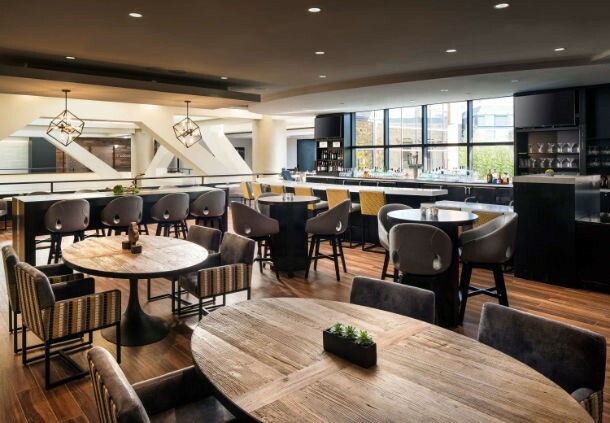 What should my hotel bar be generating in terms of F&B revenue? Are we maximizing our revenue opportunity? Status quo is the path of least resistance when it comes to setting next year goals for most hotel bar operations. But what if you feel your bar is underperforming? How do you convince your management team to take on a performance improvement objective? Try looking through a new numbers window. You won’t find this metrics in your monthly P&L, but there is an easy way to assess your bar results when it comes to maximizing hotel guest customer capture – Beverage $ Per Room Night (B$RN). What step can you take when you suspect your existing hotel bar venue is missing a lot of top and bottom line improvement opportunity? As you go through the upcoming year planning process, no matter how hard you push, the F&B revenue and profit targets for next year are the same as last year? Or as you push for capital funding for a venue renovation, ownership does not believe the business growth projections? You may want to consider bringing in a third set of eyes that can confirm and quantify the opportunity, and then define the comprehensive change effort required to achieve that opportunity. B$RN How Is Your Hotel Bar Doing? Here comes your monthly property P&L. Total F&B revenues, maybe broken down by venues versus banquets. Hopefully a breakdown of beverage versus food and likely a comparison to last year and budget (a budget which did not likely have a lot of planned revenue growth). If you are a multi property oversight executive, maybe somewhere along the way you noticed, hotel A does 3 times as much F&B as hotel B even though it’s hard to separate them from a market position perspective? Then when you try to make that point to a property team you hear all the reasons why the comparison is not valid. 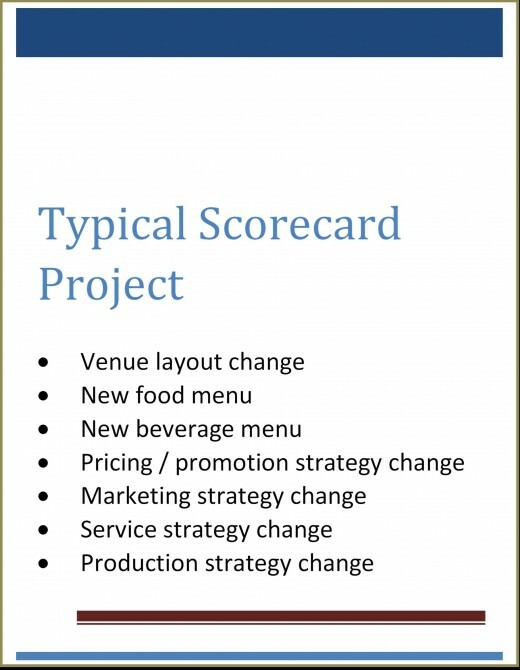 So you have a scorecard www,scorecarding-your-hotel-bar.com that is spotlighting huge changes in venue setup, menu, service strategy, pricing, marketing, and production strategy. The projected business improvement reward is huge, the proposed changes make sense, but the kind of change being defined seems impossible to execute comprehensively in a short period of time. The consultant is saying it has to be “all or nothing”, and to the local management team being asked to commit to a plan, it looks more like “nothing” is the only possible path. 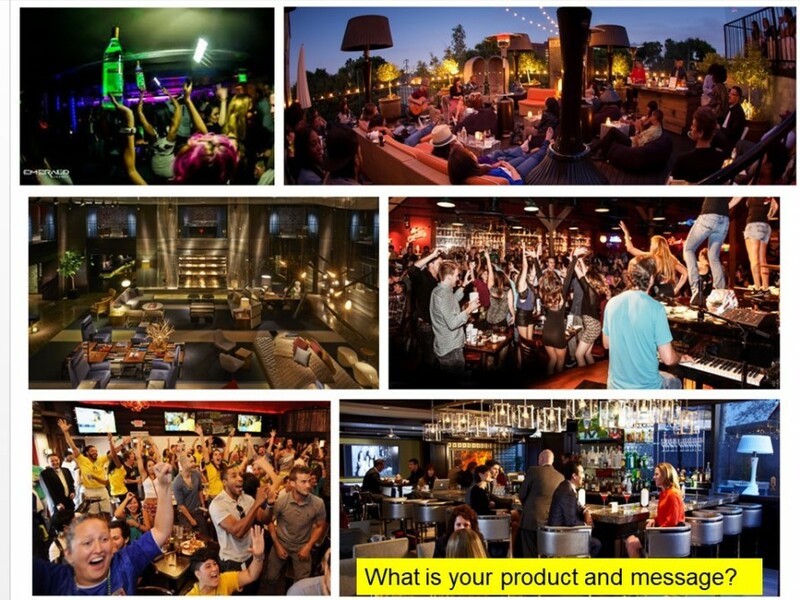 You have a huge business growth opportunity in your hotel bar. The key to growth is refocusing the operation on the intended target customer experience – extended hang out customers. (see www.Extended-Hangout-Customers.com) You have score carded the operation. (see www.Scorecarding-Your-Hotel-Bar.com). That scorecard documents a comprehensive change mission that cannot be done piecemeal. You have the mission defined in a Playbook. 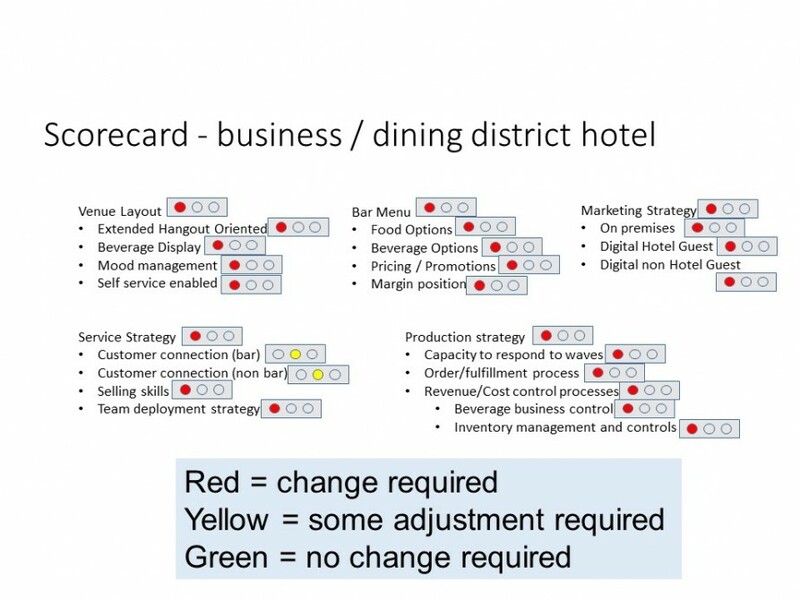 (see www.Playbooks-An-F&B-Change-Strategy.com) But the action steps defined in that plan are an impossible workload for an already busy property F&B management team. In addition you know in many areas the expertise required to get each action step done correctly and efficiently is beyond the local team. In 10 seconds can you describe what kind of guest experience I can expect in your hotel bar? On the internet that’s how much time you have when someone visits your website. It took 6 seconds to read that sentence – you have 4 seconds left…. No wonder effective digital marketing strategies focus on pictures and video to get their messages across. But not all pictures are the same. Some speak more clearly and with greater appeal then others. Walk through the pictures below. Which bar looks like the right place to go at the end of a business day, with friends or business associates who may or may not stop by? Which one would you pick? Your answer defines what market segment you fall in. Maybe your answer might depend on what day, time or circumstance you are in. But each one of these picture makes it clear what the intended guest experience will be. That is because a picture is worth a thousand words.